I’m honored to receive a major accolade in the legal blog publishing world: Top 100 Blawg by the American Bar Association Journal (click the link for the full listing of Top 100 Blogs). 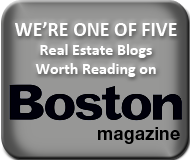 This blog was the only real estate blog chosen out of hundreds of entries. Thank you to my dedicated readers, friends, and especially my wife and Mom, who voted for me numerous times under assorted aliases! “An excellent example of how to explain complex real property law and property use law to both interested law professionals and the lay public,” Ruth Dillingham, special counsel at First American Title Insurance Co. in Hyannis, Mass., wrote us. “Everyone cares about real estate.” Another reader praised the blog for keeping the state’s legal community up to date on the Eaton v. Federal National Mortgage Association case. Now that the editors have made their picks, the ABA Journal is asking readers to weigh in and vote on their favorites in each of the 6th Annual Blawg 100’s 15 categories. Click here to register and vote. (You need to register with the site in order to vote — to prevent cheating). Voting ends at close of business on Dec. 21, 2012. Litigation & Trial by Max Kennerly, Esq. This is another post in our ongoing series on Social Media For Real Estate Professionals. We are now providing Social Media Solutions for real estate agents, mortgage brokers and other real estate professionals through our affiliated company, HubConnected LLC. Please contact us for more info. A hyper-local real estate blog is a blog targeted at a single town, city, neighborhood, or even a subdivision/gated community. By focusing on, and providing content for, one (and only one) geographic area, a hyper local real estate blog can outperform a more broadly targeted website/blog for lead generation and Search Engine Optimization (SEO). The real estate market is extremely saturated with agents who all have static websites and blogs which appeal more to the masses. Using a hyperlocal strategy can help set an agent apart from the sea of agents that are just blogging generally and don’t have a focused SEO strategy. Today, consumers using search engines are increasingly searching for hyper-local, specific search terms, such as “Brookline, MA places to eat shop” or “Needham MA tennis courts”. A hyper-local blog, if properly managed, can rank high for these hyper-local search terms, even above the restaurants, stores or tennis facilities the consumer was originally searching for. If the consumer clicks on your hyper-local blog, and a trust relationship is created, BINGO, you’re in business and have created a relationship that may result in a lead or referral. Finally, hyper-local blogging helps build relationships with not only potential buyers and sellers, but other members of the local business community that might provide referrals and other business opportunities. A hyper-local blogger can write restaurant reviews, promote referral partners, the schools, road construction, you name it. A hyper-local real estate blogger can quickly become THE local expert about their community–and that’s exactly where a real estate agent wants to be. If you are interested in learning more about hyper local blogging, a good place to get started is at HyperLocalBlogger.com. Here is an example of a hyper local blog for Glendale, CA. The Realtor, Kendyl Young, does an innovative series called 365 Things To Do in Glendale, CA where she posts something every day of the year. Beginning with my introduction today by real estate broker extraordinare and Boston.com blogger, Rona Fischman, I will be guest blogging on Boston.com’s Real Estate Blog. I will be answering questions on timely topics affecting Massachusetts real estate law, including home improvement projects, condominiums, landlord-tenant issues, and more. I am thrilled for the opportunity. Stay tuned for more.